The flowers are blooming, birds are chirping, and Main Street is ready for another 5K. As the popularity of running and walking has grown, these activities have become an important part of nonprofit fundraising. And just as training methods for runners have changed, the area of run/walk fundraising has also evolved. Examining the background on how road races became so prominent shows us how the field has changed over the years. Knowing the history will help if you’ve ever considered starting your own charity run/walk. 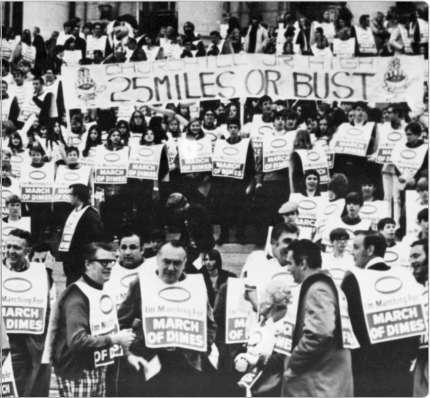 1969: Church World Service organizes the CROP Hunger Walk in Bismarck, North Dakota, considered one of the first walks for charity in the US. 1972: The United States sends running stars Steve Prefontaine and Frank Shorter to the Munich Olympics. Their popularity contributes to the Running Boom of the 1970s, when millions of Americans began jogging and participating in road races. 1988: The Leukemia and Lymphoma Society launches their Team in Training program, which sends runners to major races in exchange for meeting a fundraising goal. They are the first organization to offer fundraisers transport to a destination race in exchange for their contributions. They also provide fitness training for their runners. 2012: According to the Running USA State of the Sport Report, America hits an all-time high of 26,370 running events in 2012. That’s 72 events PER DAY. Not all of these events fundraise for charity, but the prevalence of these events certainly creates a competitive market for runners and fundraisers. Running USA estimates that road races bring in $1.2 billion dollars in fundraising for nonprofits in 2012. One of the puzzling aspects of a charity run/walk is that it isn’t the most economically sound fundraiser. With the standard expenses of port-a-potties, police presence, and signs, these events aren’t cheap to begin with. But more and more events feel they need to offer t-shirts, gift bags, entertainment, and catering to compete for participants. And fundraisers have to devote lots of time and money to both training and reaching out to donors. Why are people eager to participate in a charity run/walk when they might do more good by making a donation? Psychologists have observed what they call The Martyrdom Effect at work in fundraising situations. Building on the generally accepted principal that “people derive meaning and value from having to work hard and suffer for their chosen goals” (51, The Science of Giving), research has shown that people are willing to donate more when they believe a fundraising event will require pain or exertion. This effect shows up whether the pain/effort will be applied to themselves or a friend they are sponsoring (55, The Science of Giving). But in the real world, the increase in donation size is offset by the increased costs of hosting the event. This is an important factor to consider when a nonprofit is deciding whether to invest in charity walks and runs. In the past 25 years, charity run/walk events and road races have grown tremendously. The industry has also diversified, branching into bicycle races, swimming events, and obstacle courses. Participants now have so many options, organizers are forced to distinguish themselves with escalating race amenities. This increase in overhead cost reduces the funds that impact the cause, and also draws scrutiny from the public. Nonprofits face the choice of designing an event to attract maximum participation and gross revenue, or minimizing costs so that a higher percentage of revenue goes toward the cause. One way fundraisers can skirt this catch-22 is through a partnership with an outside event. Major running events often sell out and distribute their coveted bibs (the paper number the runner attaches to their shirt) through a lottery system. But an increasing number of races, like the Chicago Marathon and the New York City Marathon, are reserving a portion of their bibs for nonprofit fundraisers. What makes this such an interesting model is that it forces runners who don’t receive a lottery bib to consider fundraising for charity in exchange for a spot in the race. These partnerships often require a large investment up front from the nonprofit to purchase the bibs. An organization might pay $150 for a bib but they can then ask for $1,000 in donations from runners for the spot. Ideally, races would be willing to simply donate bibs to an organization, but a partnership may still be the better deal. Expenses from special events hosted by nonprofits often consume 50% of the fundraiser’s revenue. The New York City Marathon’s partnership program is just one example of the sector’s expansion, with 317 nonprofit partners. The London Marathon is also a leader with 75% of participants running for charity. 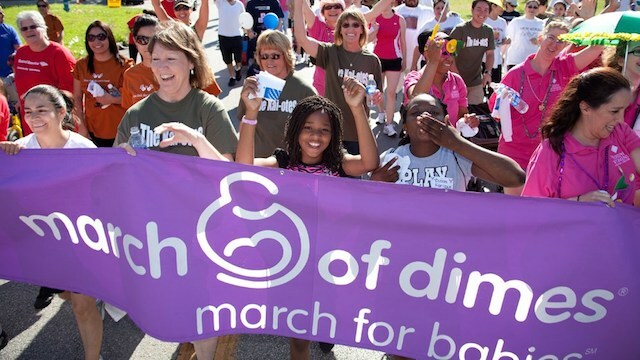 While a partnership means nonprofit organizations don’t have exclusive control of the event, the partnership programs allow them to take advantage of the popularity of run/walk events without being responsible for all of the planning. Although more and more nonprofits and road races are incorporating charity runs, they continue to raise millions. But the wide choice of events, is being felt by some organizations. Team in Training had a decrease in number of participants in 2010 and 2011. Their participant numbers recovered in 2012 but revenue still declined 11 percent. Nonprofits who partner with popular sold-out races can raise their fundraising minimums in response to demand, but if the race itself doesn’t sell out, then fewer people are willing to go through the extra effort of fundraising along with their race training. If they can simply purchase a registration slot, the nonprofit spots will be less coveted. A partnership is most lucrative when demand greatly exceeds the number of available spots. The Boston Globe reported that nonprofits with fundraising bibs in the Boston Marathon have received hundreds of applications since the deadly bombings at the 2013 Marathon. Many partnering nonprofits have been able to increase their minimum fundraising goal. Organizations are asking that runners raise as much as $10,000. Seeing these kinds of results, a slew of organizations are angling to get in on the action. The Marine Corps Marathon had 131 partnerships this year, but had another 28 organizations on the waiting list. There are several points to consider for nonprofits looking to fundraise through walks and runs. The first question to consider is whether to partner with an established race or to host your own event. Frankly, if you don’t already have an annual race, partnership is probably the safer investment. Because there are already so many events, it can be a huge challenge to launch a new walk or run. And with rising expectations for race amenities, the initial investment may be too large a risk. By partnering with an outside event, your organization can focus on training your participants not only to be effective fundraisers, but successful race participants. Partnerships also provides a buffer of separation between your organization and the management of the event itself. There is less risk of overhead scrutiny when your organization is not responsible for the administrative operations of the race. But as we mentioned above, races are already having to put nonprofits on waiting lists, so do some homework on local races to see who is looking for partners and who sells out every year. While famous races have waiting lists for partnerships, smaller or up-and-coming races may be a good match for nonprofits looking to capitalize on the popularity of fitness-related fundraisers. If someone is able to put in the time and effort to train for a marathon, they might just have the tenacity to be a fundraiser. Reference: Olivola, Christopher Y. (2011). When Noble Means Hinder Noble Ends: The Benefits and Costs of a Preference for Martyrdom in Altruism. In Daniel M. Oppenheimer and Christopher Y. Olivola (Eds. ), The Science of Giving: Experimental Approaches to the Study of Charity (pp. 49-62). New York, NY: Psychology Press.